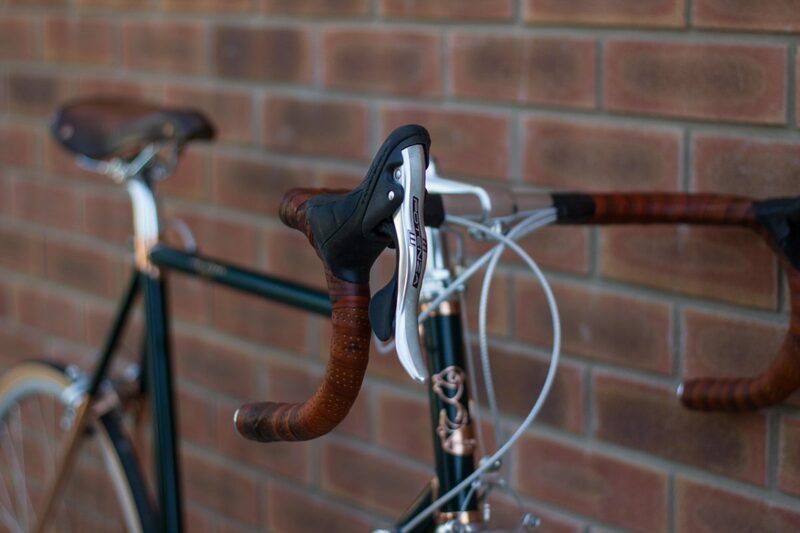 A thoroughly modern take on an Italian classic, The Ted Baker x Quella Classic Road Bike is powered by the British craftsmanship and expertise of Quella Bikes. 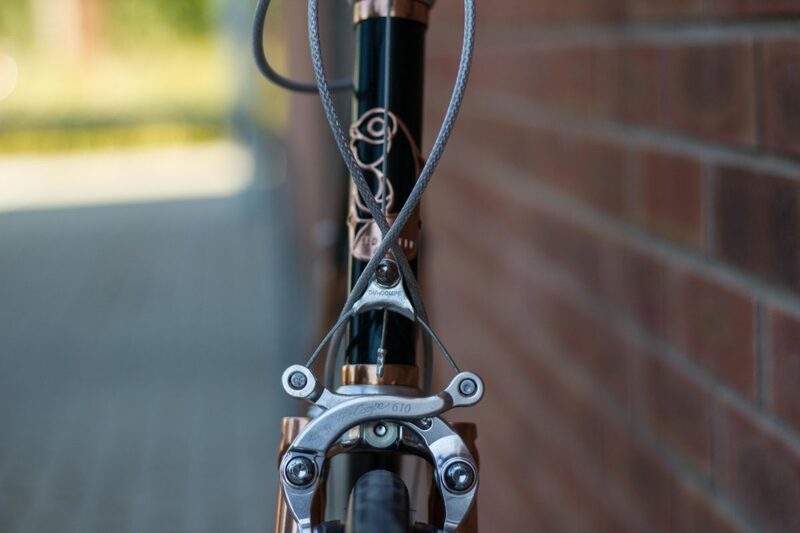 Built around a unique Ted Baker x Quella steel frame of vintage Italian racing heritage, it is finished with the finest copper plated Nervex lugs and frame sections along with a Campagnolo group set. 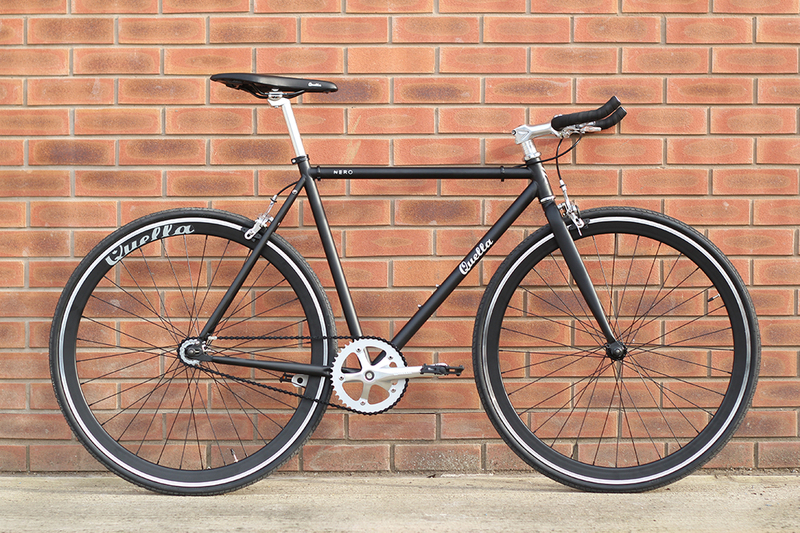 One classic racing green left! 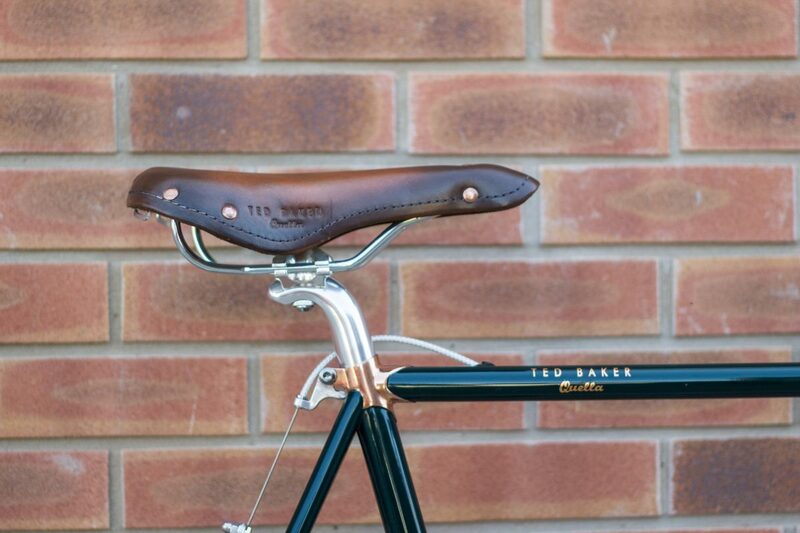 Like a shimmering salmon that soldiers upstream, Ted believes one should always break from the shoal and follow their own current…which is why he teamed up with his esteemed friends at Quella to create a collection of beautiful British bikes that always make a splash. 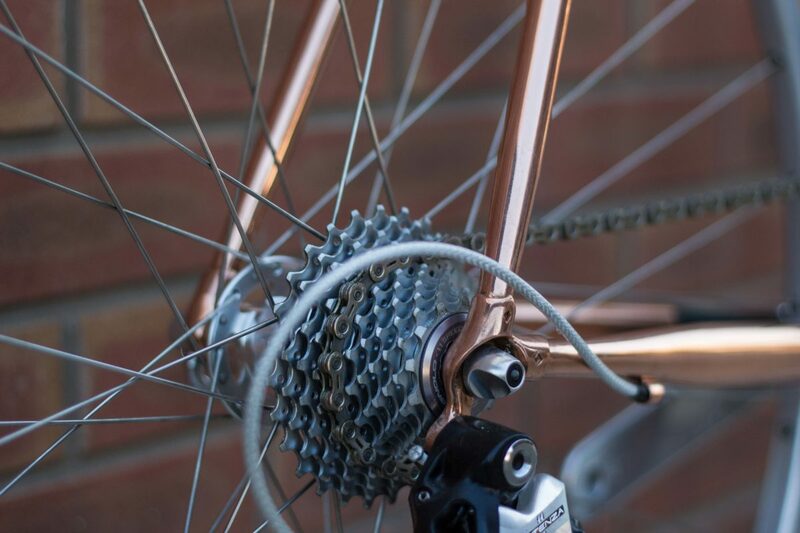 Built around a unique Ted Baker x Quella steel frame of vintage Italian racing heritage, it is finished with the finest copper plated Nervex lugs and frame sections and oozes class. Whether you take to the rushing torrent of the town or the trickling tributaries of the country, the Ted Baker is flawlessly designed with style and substance. 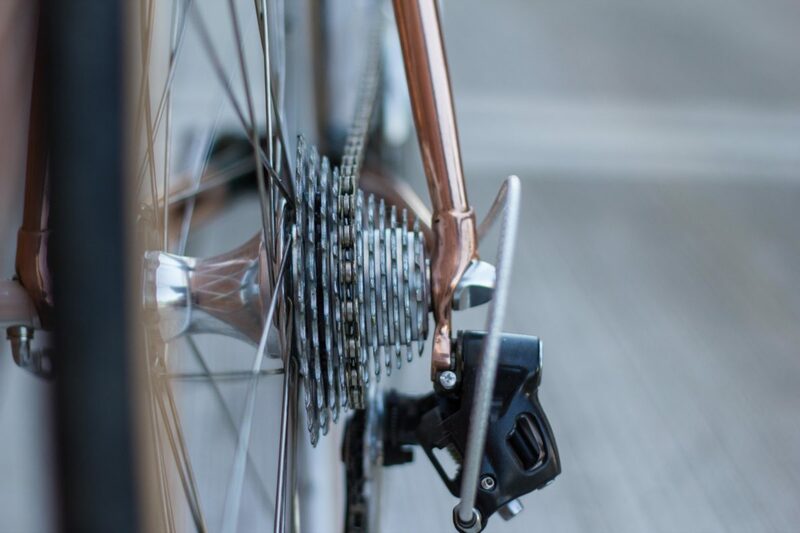 It is geared for performance with a Campagnolo Potenza 11 speed groupset and traditional Dia Compe 610 centre pull brakes. 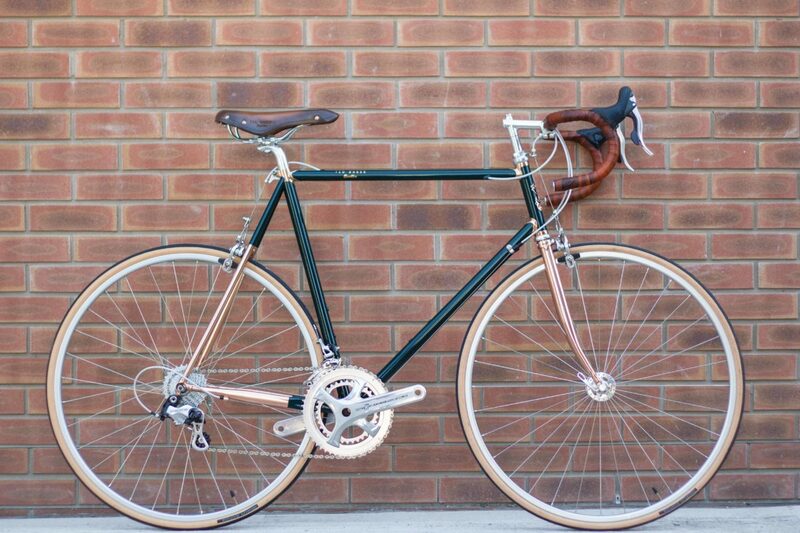 Handsomely considered from seat to spoke, it comes complete with a Brooks England leather saddle and bar tape. 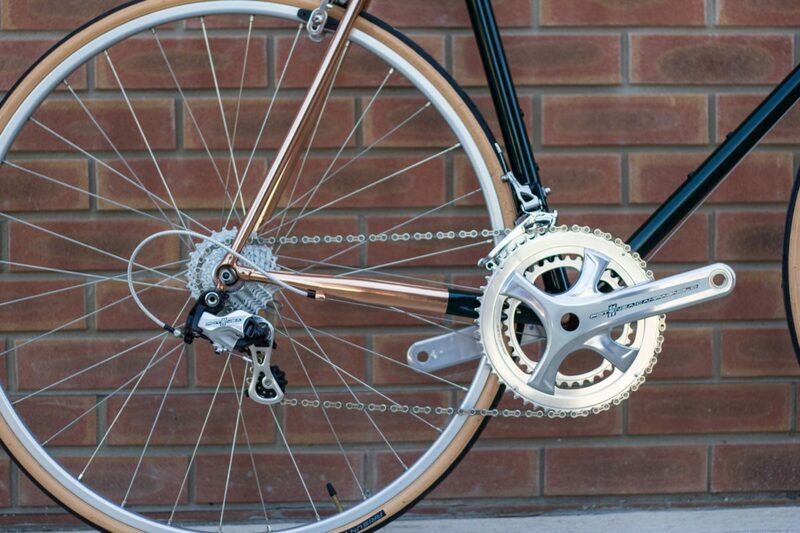 We’ve kept one and have only two of these classics left. One in Green and one in Red.